How often do you find yourself relying on your intuition to make important business decisions? Do you think managing is about having sharp instincts, the ‘magic touch’, or a knack for simply making the right call at the right time? Well, you might want to reconsider, because one of the world’s most successful CEOs thinks otherwise. The Harvard Business Review recently ranked Jeff Bezos, fabled (and somewhat infamous) CEO and founder of Amazon, as the best performing CEO in the world. Bezos has achieved astonishing success at Amazon, transforming it from a modest online bookstore to a $140 billion retail empire, with a 313% increase in stock value in the past five years – and becoming one of the richest people on earth in the process. Innumerous attempts have been made to reveal the secret to Bezos’s success. Some stress his obsession with customer satisfaction, others his insistence on small workgroups – Bezos once famously said that if a team can’t be fed by two pizzas, it’s too big. Certain aspects of his business practices, as well as some of his less orthodox management techniques, have often come under fire. For example, Bezos was reported to hand out yellow sticky notes with his name on them to dissident employees so they would remember “who runs the company”; somewhat less amusing are complaints by former employees of poor working conditions and mass layoffs. While these tidbits and anecdotes are amusing, only very few of them are actually applicable to your business. However, there is one thing Jeff Bezos does that you can and should be doing too (and it’s not the sticky notes): adopt a data-driven approach and start making decisions based on data analytics. Amazon, under Bezos’s leadership, is a highly data oriented company which makes immense efforts to translate everything to numbers – and works hard to improve these numbers. Decisions are made based on cold hard facts whenever possible, in lieu of intuition and gut instincts – and this policy applies across departments, from the upmost echelon to the individual team levels. Bezos’s interest in statistical data started at a young age, and as early as grade school he had developed a survey to evaluate his teachers’ performance (source). When he went on to found Amazon as a platform for online book sales in his garage in Washington, he applied this data-driven attitude to his newly established web company. To this very day, Amazon measures and analyzes all its data, and applies the data discoveries to its strategic, tactical and operational decision-making processes. The great thing about fact-based decisions is that they overrule the hierarchy. The most junior person in the company can win an argument with the most senior person with a fact-based decision. Today Amazon uses 500 KPIs to measure its performance. Most of these are customer-oriented, such as the discovery that a 0.1 delay in website loading times means a one percent drop in visitor activity which led the engineers at Amazon to focus on optimizing its website in order to reduce page load times. It’s important to note that Bezos himself acknowledges that not all decisions can be made by factual analysis. However, the key here is that whichever decisions can be made on a factual basis, will be. Cross-company access – information is available not only for executives (VP or C-level), but to everyone, regardless of their rank in the company. This allows lower level employees to innovate and test their ideas on real data without having to rely on corporate communication channels, which might be inhibitive. Measurables are everything – Amazon measures, tests and analyzes every single piece of data it can put its hand on, in every department. Furthermore, performance is always evaluated based on these metrics, which are used to define each team’s objectives and its success rates. Data-driven decision-making with no exceptions – Bezos himself as CEO, as well as other executives at Amazon, use data to reach and justify their decisions. Once senior management adopts this approach, it’s that much easier for the lower ranks to follow. To recap: if there’s one thing you can learn from Jeff Bezos’s amazing success story at Amazon, it’s that this success had less to do with Jeff Bezos himself and more to do with systematic, analytics-oriented work processes he instilled in the company. Managers looking to draw inspiration from Bezos might find more benefit in turning data-driven decision making into an essential part of their own company’s corporate DNA, rather than adopt his controversial style of management. This can be achieved by changing the company’s executives’ frame of mind – i.e., teaching them to listen to numbers, charts and graphs rather than their “inner voice” – as well as possessing the right tools for the job, such as business intelligence and dashboard software. 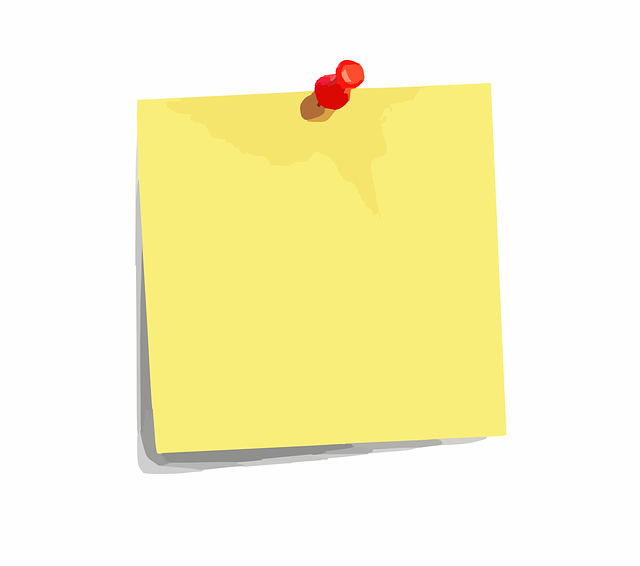 And if that doesn’t work, you can always try the yellow sticky notes.